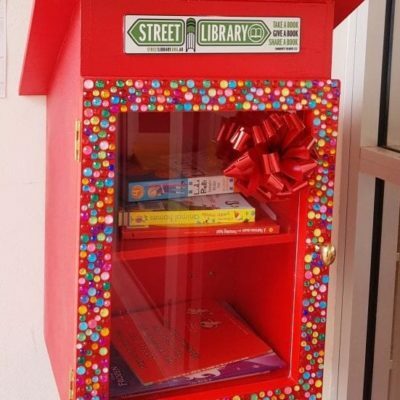 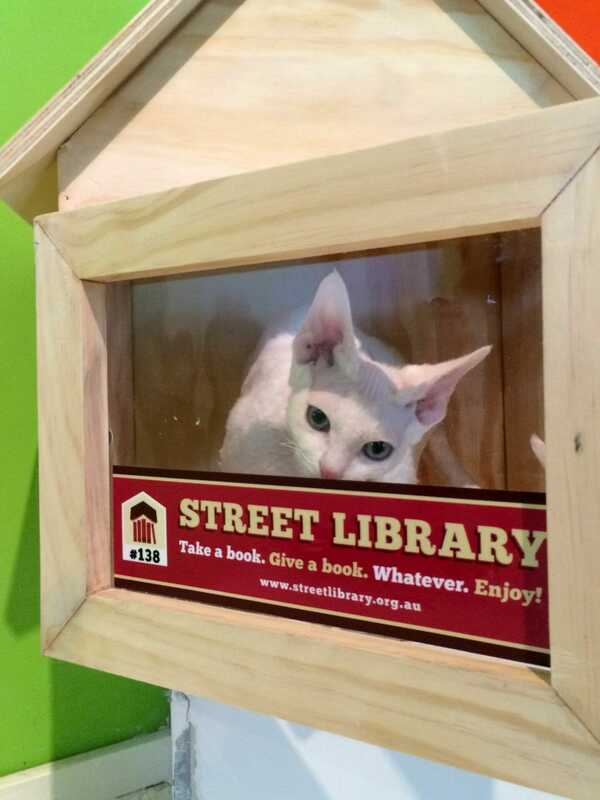 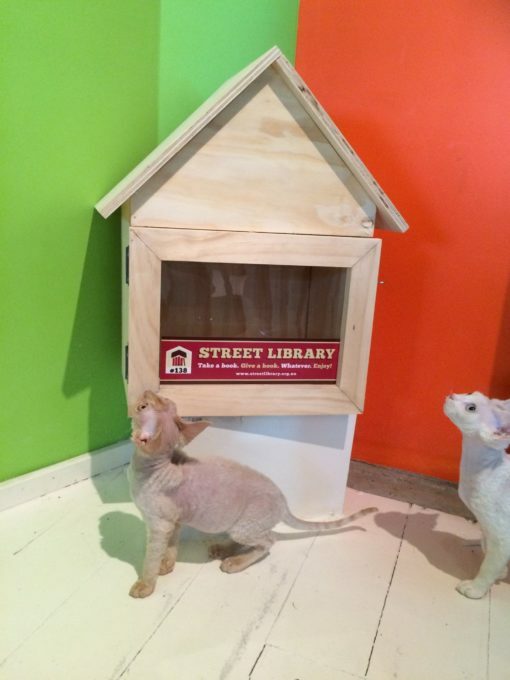 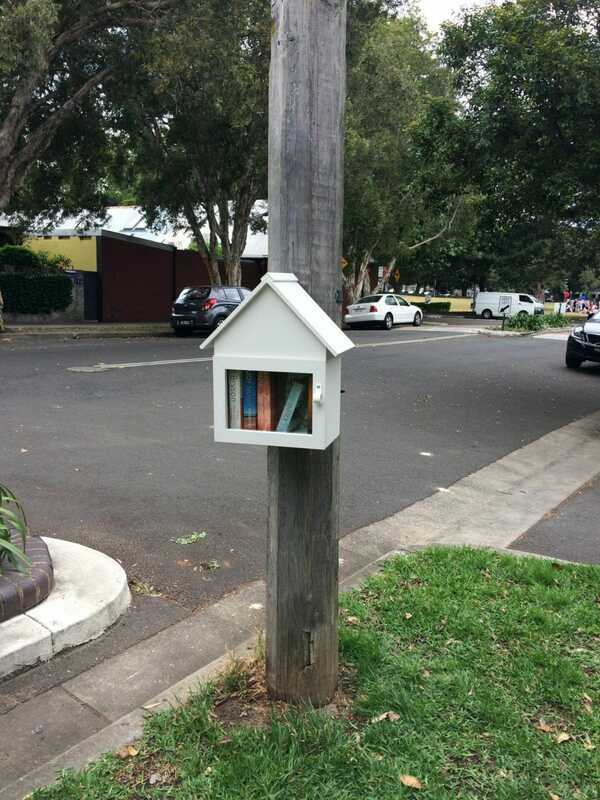 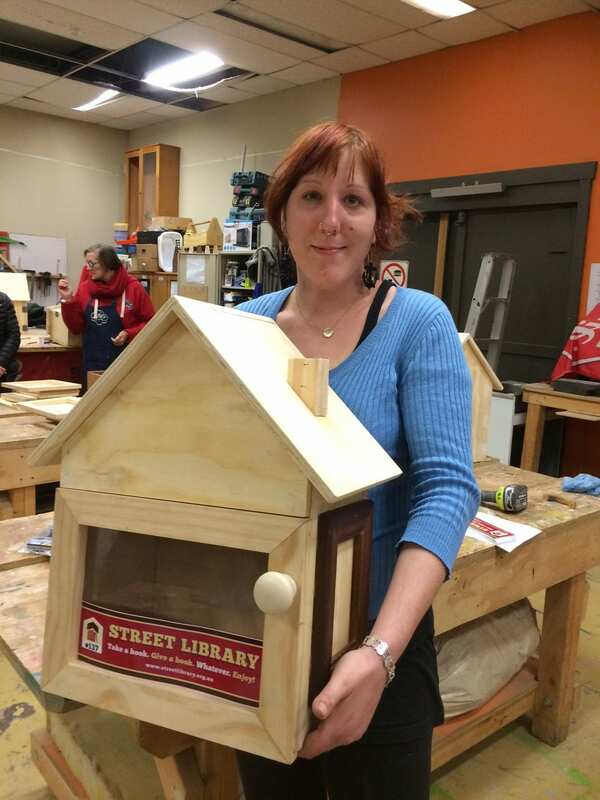 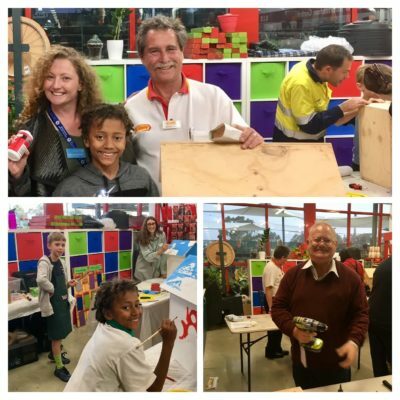 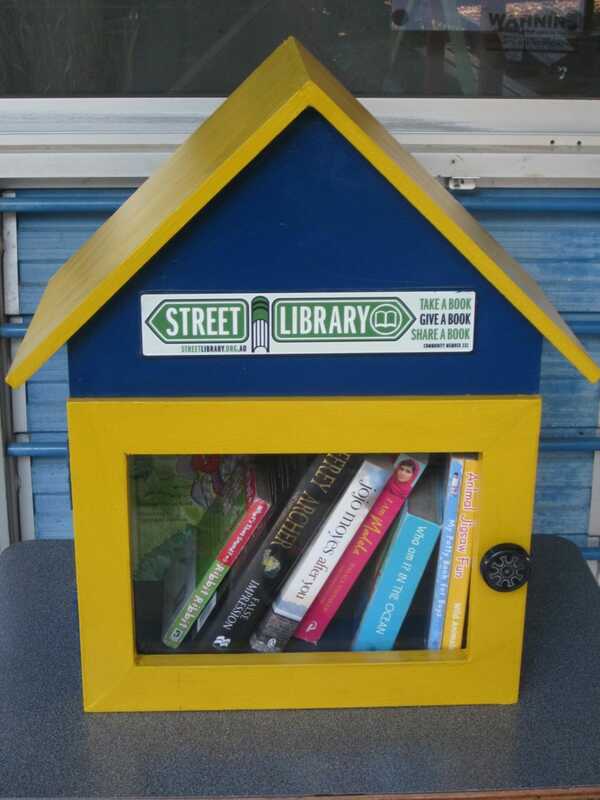 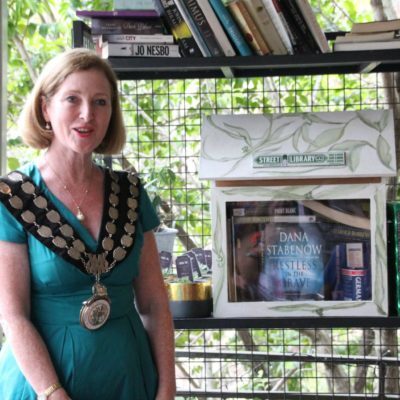 These libraries have been hand crafted by volunteers at 107 Projects in Redfern, NSW. They feature high quality nickel plated steel fixings, a 3mm perspex door to protect your treasures from vandals and a lightweight construction which makes it easy to move around. 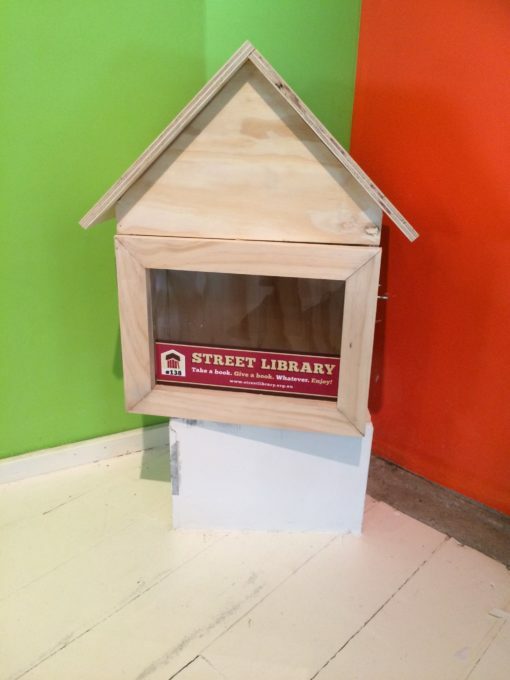 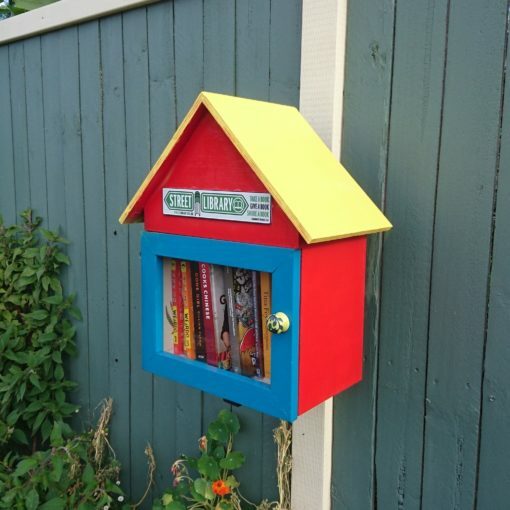 Includes a Free Street Library sign, valued at $25. 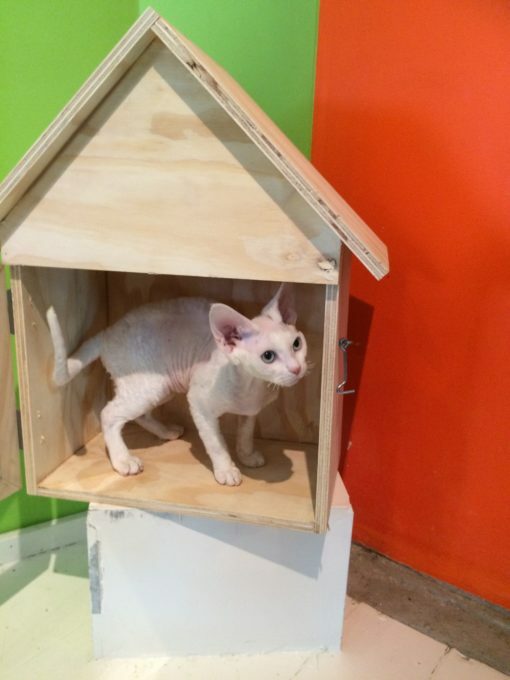 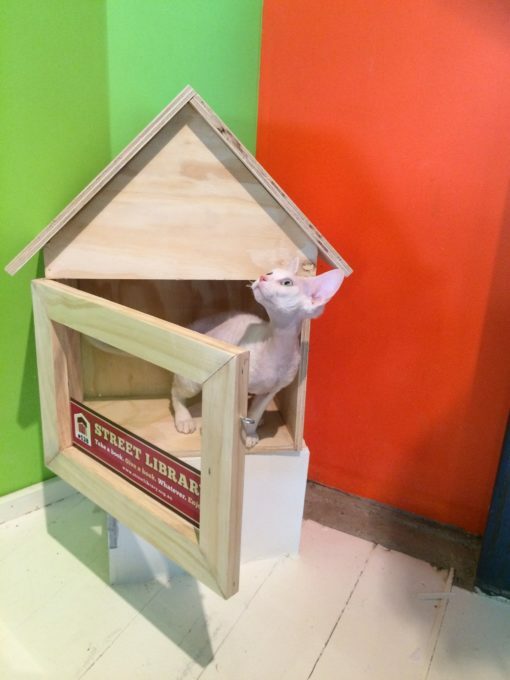 Well, we like a pun, and as soon as we put this library out to be photographed our cats invaded it. 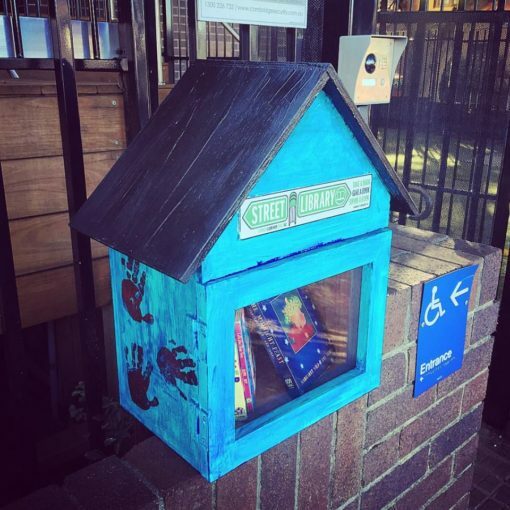 Your purchase supports our mission to re-connect communities through literacy across Australia. 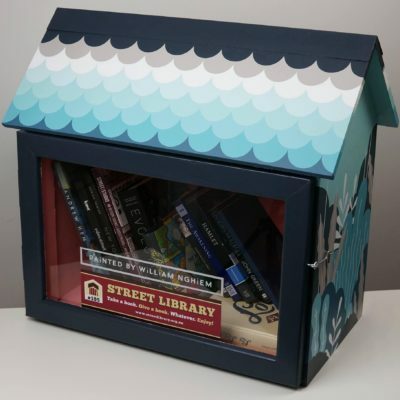 Included with your library is a numbered sticker that communicates the function of your Street Library in a bright and colourful way, you can stick this on once you have painted and mounted your library. 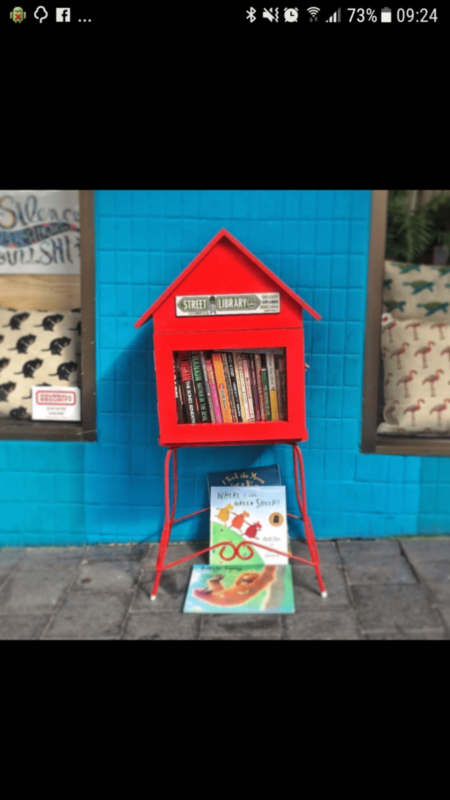 Also included is a guide to promoting your library with some tips and tricks for ensuring it is a success. 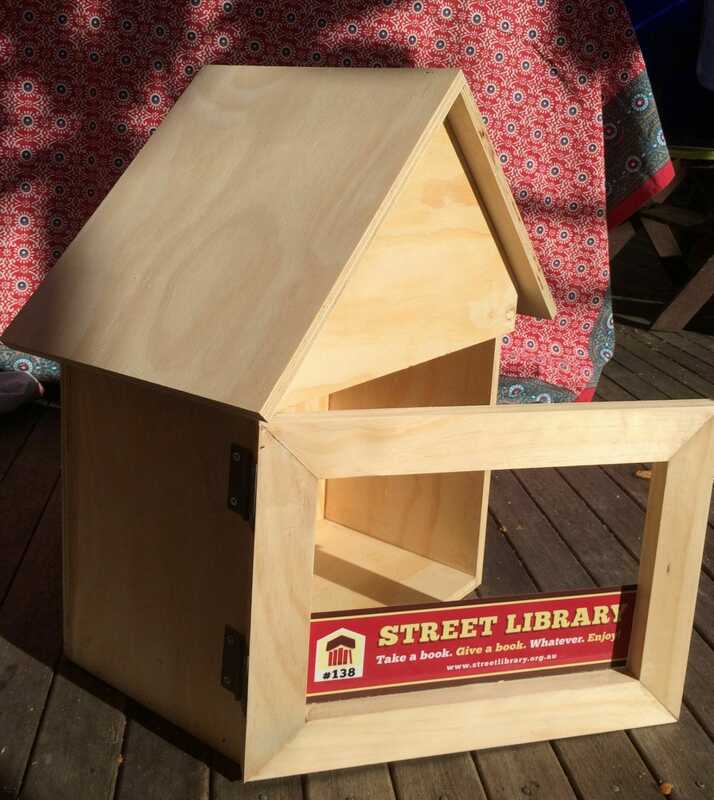 The library is not yet weatherproof and must be protected with at least two coats of paint or varnish to ensure it lives a long and generous life. 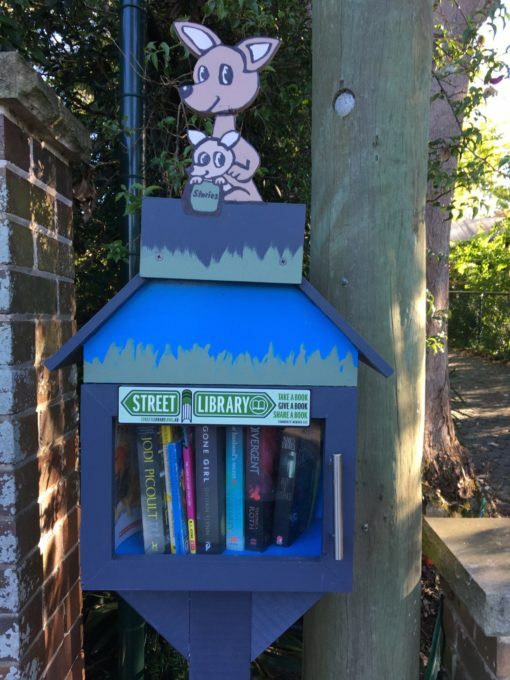 We recommend securely fixing your library to your property ensure it does not topple and to hinder would be thieves and advantageous mischiefs. 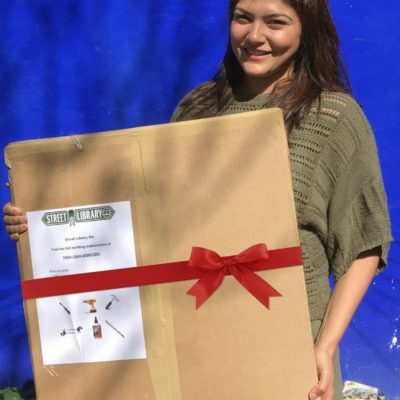 This 7KG package is 54cm x 47cm x 29cm in size and arrives at your door in 1 – 2 weeks.